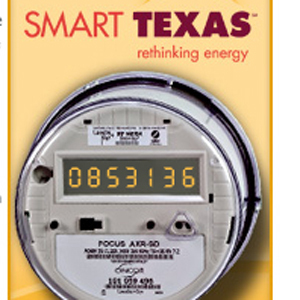 Should any Texan choose to opt out of a smart meter, the Transmission and Distribution Utility will collect the fee, not the supplier. This was decided in a July 3rd open meeting for the Public Utility Commission. Here’s the full story from Energy Choice Matters. While the Public Utility Commission hasn’t defined the fee yet; it is thought to have two parts, an initial fee (somewhere in the $200 range) and a recurring monthly charge (somewhere in $10-20/ month range) and is to be paid entirely by the customer opting out. While we’re still waiting for the details on the smart meter opt-out, it’s worth noting that most other utilities have similar opt out structures; including Southern California Edison, BGE and PGE. Typically, less than 3% of users opt out of using a smart meter. These default transitions are quickly becoming an interesting issue and I’m sure we’ll continue to hear more about them.